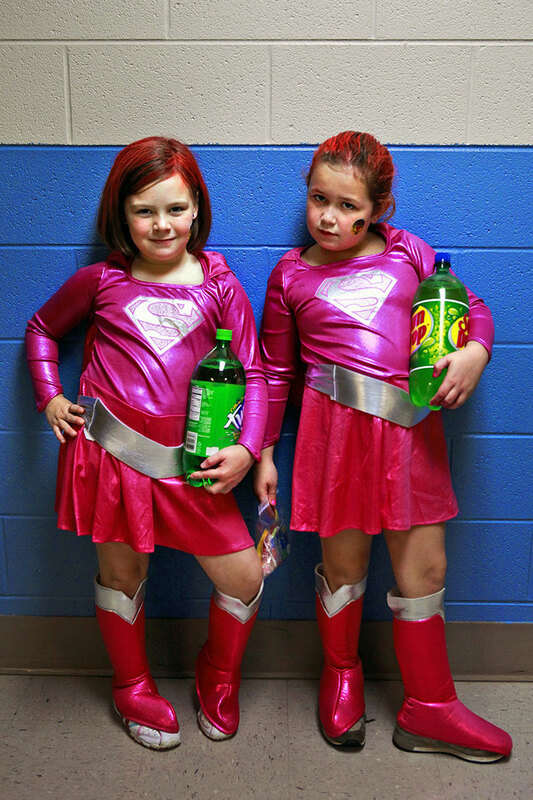 Abby Dawson and Chaney Roberts, both "seven-and-a-half," pose in their matching Halloween costumes at Westside Baptist Church in Calloway County. The two are best friends and second graders at Calloway County Elementary School, and are not in the same class for the first time in the history of their friendship. "I've made one other friend," says Abby, "but Chaney is still my bestest friend."